Seven in ten motorists would rather find another parking space than use a bay that requires payment via smartphone. 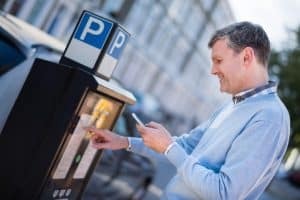 Many councils intend to install new 'pay by phone' systems over the coming months, however, 44 per cent of 16,500 AA members included in the research said that they would find this change a problem as they mainly pay for things by cash. Despite their cash preference, almost two-thirds (64 per cent) often found it a challenge to have the correct coins to hand for parking; a problem fuelled by the fact that some machines don't give change. Alternatively, 70 per cent of drivers said they were sceptical of paying by phone as these systems often carry an additional admin charge, usually around 30p. Motorists most likely to park elsewhere included pensioners (79 per cent), drivers in the North East (74 per cent – compared to 61 per cent of Londoners) and low income earners (79 per cent – compared to 68 per cent of high earners). Jack Cousens, head of roads policy for the AA, suspected that technology itself could be a barrier. “Not everyone has a smartphone to pay via an app and not everyone is keen to talk to a robot to pay for an hour’s stay,” he commented. Mr Cousens went on to suggest pay by phone isn’t ideal for people in a hurry who don’t have the time to download and register a new app. The AA’s research also found that more than half of drivers don’t care how they pay, as long as it is easy and convenient. As such, there’s reason to believe admin fees and machines that haven’t been updated to accept the new £1 coin or require a registration number are all parking payment pains.